We’re recalling our times in the hill country around Seneca in the 1940s and 1950s. Doing a virtual drive through the heart of Crawford County on Highway 27, which runs from Rising Sun in the north to Prairie du Chien in the south. Last week we were at the site of the October 16, 1957 car accident that took the lives of four people, including two of my Seneca High School sophomore classmates. The ambulance and sheriff’s car arrived. Bob Chambers and Doc Johnson, two Seneca High School teachers, went down to the accident scene. The bodies had been laid out by the sheriff and ambulance people. Chambers noticed that one of the bodies moved. He yells to the police and ambulance people. An officer replies “they’re all dead.” Chambers says “this one moved”. “They’re all dead”, the officer repeated. But someone checked. The one that moved was Frank Pintz. Chambers probably saved his life. “Funeral services for Thomas Snell, Michael Sprosty, and Bernard Foley were held Saturday, Oct 19, from St. Patrick’s Catholic church, Seneca, and burial was in the church cemetery. The Rev. J Kelly Cosgrove, pastor, officiated at the 9 AM services for Sprosty and the 10 AM services for Foley. Msgr. Thomas O’Shaughnessy, pastor of Blessed Sacrament church, La Crosse, who is a relative of the Snell’s, officiated at the 11 AM service for Thomas Snell. Phillip, Bob, and I were Mass servers at this time. We served Mass for the first two masses at 9 AM and 10 AM. There were a total of 6 parents and 20 siblings of the 3 young people killed. A widow and 2 little girls mourned the loss of Tom Snell. Frank Pintz and Joanne Snell recovered. Both suffered from those injuries for life. 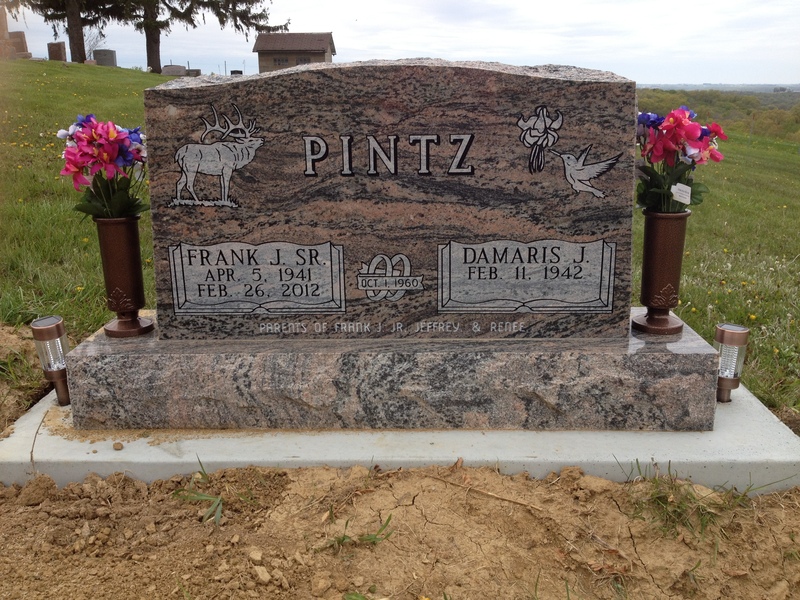 Frank Pintz was in the hospital from the date of the accident October 16, 1957, until April the following year. His parents brought him Thanksgiving dinner and Christmas dinner to his hospital bed. He was in a full body cast and had damage to his spine and lungs. Five years later he had surgery to his aorta, the doctor indicating there had been damage due to the accident. Two back surgeries followed. Frank came back to visit the high school a year after the accident. He was in a wheel chair. I remember him being greeted warmly by the students. He never did finish high school but attended several reunions. We three Scheckel boys thought highly of Frank Pintz and talked occasionally about how lucky he was to survive such a horrific accident. Frank had nearly died, but he struggled and succeeded in making a good life for himself. Frank Pintz married Demaris Graap on October 1960. They had 3 children. He became a farmer, bricklayer, mason, builder, and contractor. He was a supervisor for the City of Prairie du Chien. Frank passed away in February, 2012 at age 70. He is a reminder to me that a person can be snatched from the jaws of death and somehow lead a full and productive life. I, like Michael Sprosty, was 15 years old at the time of this tragedy. It was my first reminder of how sudden and capricious life can be. His death was an indicator that we are all a few heartbeats from eternity and how precious life is. I visit St. Partrick’s Catholic cemetery in Seneca whenever my wife, Ann, and I visit the Seneca area. I walk behind the church and between the rows of pine trees. The wind makes a beautiful whistling sound through those trees. I pass by the graves of Seneca and Crawford County ancestors, the Garvey, Kneeland, Kane, Finley, McNamara, Oppriecht, Fitzgibbon, Joy, Ingham, and Boland graves. I visit the graves of my parents, Alvin and Martha Scheckel. I view the graves of many of the people I knew as I was growing up on Oak Grove Ridge. I remember farmers that I helped with their hay crop. I was pallbearer for Tom Ingham. He died of a heart attack lifting milk into the cream separator. Then I come to the Michael Sprosty and Bernard Foley tombstones. The “end date” of 1957. And that is something I know a bit about. I think to myself “what a waste”. This event did not have to happen. I think of the things these two boys missed in life; marriage, family, births, first communions, sending kids off to school, graduations, and family reunions. They will never have the opportunity to walk a daughter down the aisle. Never hold a grandchild in their arms. It could have been, should have been, so different.